What are your New Year's resolutions for 2014? If they include saving money, eating healthy, or working out more often, reaching your goals just got a little easier. 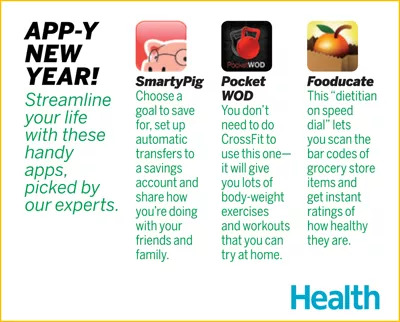 Here are three apps to consider getting for a happier and healthier New Year!